A concise course for executives, managers and stakeholders stressing the key concepts and terminology of the proven decision management approach. 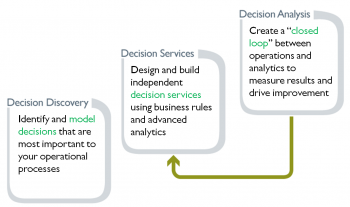 This approach underpins the successful deployment of business rules management systems (BRMS) and predictive analytics results, the optimization of business processes and the decision-centric design of analytically driven dashboards. This 3-part online live training class taught by leading expert James Taylor, CEO of Decision Management Solutions, will prepare you to adopt Decision Management or expand existing business rules/analytic efforts into true Decision Management programs. You will learn the key use cases in which Decision Management adds value, get an introduction to the critical technologies for building Decision Management systems and learn the core steps in a proven Decision Management methodology. 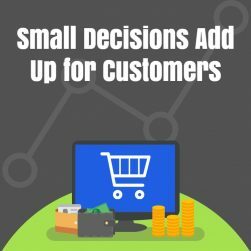 You will see how applying Decision Management to your critical decisions will drive operational success and deliver more powerful information systems. Decision Management Solutions is an IIBA Endorsed Education provider. 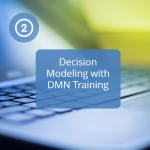 Earn 9 CDUs/PDs when taken together with Decision Modeling with DMN. Technology Check: The class will be conducted in Adobe Connect, a Flash-based environment. Please test your environment beforehand at https://admin.acrobat.com/common/help/en/support/meeting_test.htm. Audio: Audio plays through your computer speakers. There is no audio dial-in. Please have a microphone or headset available for your computer so you can interact during the class. You will be able to type questions and comments, but a headset or microphone allows for more interactivity. Very provocative! Excellent use of examples and participation. Provided a new way to critically think about decisions. Learned more important things today for long-term job responsibilities than in years. You have a great deal of useful and wonderful info. Your stories are excellent. James does a good job of explaining complex concepts in an easy and clear manner. I can relate and apply the concepts directly to my job. Appreciated “real examples” and discussions – learned more about a topic unfamiliar to me – well done! Thank you! Business analysts tasked with developing requirements. Business owners looking to make their business applications and reporting more agile and adaptable. Subject Matter Experts responsible for documenting requirements. Technology experts who wish to build systems and processes that fully leverage the capabilities of a BRMS and predictive analytics. Data analysts working on business intelligence dashboards or predictive analytics projects. 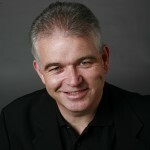 James is the CEO of Decision Management Solutions. 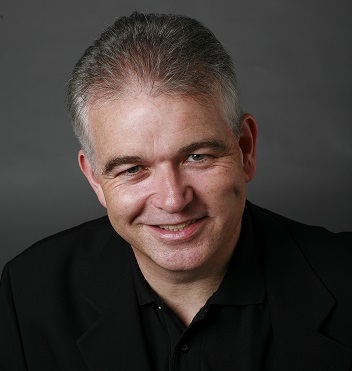 James is passionate about helping organizations use decision management and decision modeling to improve business requirements for agile, analytic, and adaptive business processes and systems. James has spent the last 20 years developing approaches, tools, and platforms that others can use to build more effective information systems. He has led Decision Management efforts for leading companies in insurance, banking, health management, manufacturing, travel, and telecommunications.